Factory Communications, Cloud Tools for Manufacturing | 8x8, Inc. Factory communications have always managed to evolve with technology, and now, they are at the edge of a new frontier – cloud communication. The two major driving forces behind the quick transition of factories or industries to modern means of communication are safety and ease of access. Better communication and quick return of information result in a safe work environment where everyone is alerted at the right time, regardless of their location within or outside the factory. Factories and manufacturing plants cannot be placed too close to the main city or living space, meaning they are always on the farther end of the map. This poses a problem for wired communication as they will have to lay long phone and data lines, and with length come noise and distortion. In case of a line breakage or damage, the repair usually goes hand-in-hand with a long downtime, obstructing, or even halting factory productivity. In a work environment like a factory, a communication device fails to deliver a quick transfer of information if it cannot be used on the go. 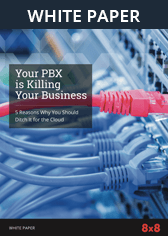 It is one of the many reasons why cloud communication triumphs were analog fails. Made to perform: Cloud communication does away with cables and lines, inevitably removing the probability of line breakage or noise. In a real-world use case, the communication points will stay connected even amidst adverse weather conditions. First call response: The essence of a clockwork-like structure seen in factories is the prompt availability of man, material, and money. First calls are requests or orders sent out by the company to procure any or all of these three pillars of work efficiency. The faster they are made, the more stable a company becomes. Inter-factory communications: When we review factory communications, it’s clear that calls or messages aren’t just made from the factory to the outside but also within the different departments of the factory. Since factories span across a large area, the need for a more unified communication method is essential, and cloud communication meets all the requirements without fail. Cost efficiency: Cloud communication methods provide a flexible and more user-friendly billing structure — pay for what you use. This type of billing system does not require the company to pay a fixed amount each month, as they have the option to pay only for the services they actually use. It also lowers the IT costs for companies, since there is no need to set up an in-house infrastructure. Collaboration tools: Remote collaboration is a must-have in today's factories since it helps companies to make decisions quickly and effectively without having everyone in the same room. With cloud communication suite, people of interest can weigh in on a subject or decision from a remote location without the need to travel long distances, significantly cutting down the overall company costs. Multi-Channel support: With a cloud-based communication service, manufacturing companies get value-added features apart from voice calling capability. These include messaging, voicemail, and other multimedia options to effectively communicate information within the supply chain. For a factory, the rate of success largely depends upon getting more production orders. However, without a solid communication line, the customer base will look elsewhere for companies who promptly engage with them. Cloud communication helps companies to always stay connected, which is always good for any consumer-oriented enterprise. In a dynamic work atmosphere like a factory, effective communication not only creates a productive environment but also a safer one. Factory communications have come a long way, and they are making their steps towards the wireless era of communication. Cloud technology is essentially helping factories to become future-ready through efficient and reliable communication systems. Access to the latest technology with lower infrastructure cost is an ideal value proposition for factories that are looking to strengthen their communication channels and drive more business growth. However, not all cloud communication systems are created equal. Manufacturing leaders must also consider the security aspect as well while opting for a cloud communication solution so that the sensitive data traveling across the supply chain remains protected. From defense against the attack on physical devices, password protection, and application firewalls to data encryption, manufacturers must educate themselves about the cloud-based software for their factory communication. As a manufacturer, you need every cog in your machine to be as productive as possible. With 8x8's Virtual Contact Center you get world-class technology and everything your domestic or international business needs without the need for multiple disparate systems. Call 1-866-879-8647 or fill out an online form to request a no-obligation quote from an 8x8 Product Specialist.